Tel. : (5411) 4343 - 3133 / Cel. (54911) 4440 - 0191. Email: info@argentumdogos.com. 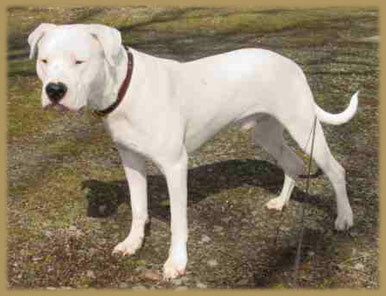 Show quality Dogo Argentino puppies with World Champion, first FCA ranked and movie star lineage. 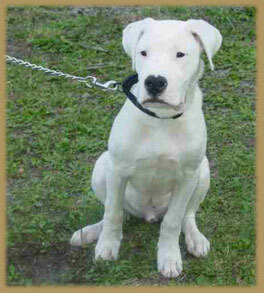 Our stock of over ten adult females allows us to have Dogo Argentino puppies for sale at all times. located in over 36 countries, 22 American States and 5 Canadian Provinces. We are based in Argentina, the breed's country of origin. Reservations are required due to waiting lists.